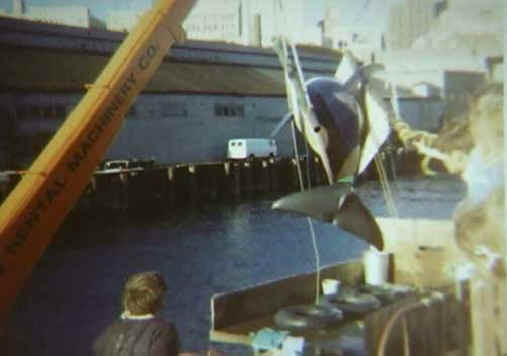 (Orca Exploitation - Entertainment - 04) This young orca has just been lifted out of the water and is about to enter into a life of slavery, to be exploited for human entertainment. She will never see her family again. This female has now become property to the highest bidder. Think of how you would feel if you or your child were kidnapped from your family and forced into slavery, and you may have some idea of how these orcas feel.